Milliner Stephen Jones is the latest in a long succession of high profile curations with Antwerp's A Magazine Curated By, the magazine that works with a different designer for each issue. 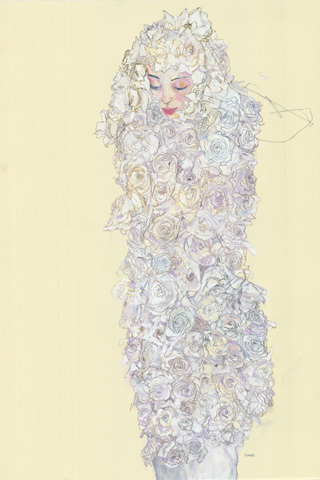 Previous issues have included the likes of Rodarte, Ricardo Tisco and Haider Ackermann. Stephen chose to have the issue illustrated throughout, including a pullout illustration calendar (which I'm honoured to have new work featured in). Talking exclusively to Style.com, Jones said "I like a magazine that looks like a magazine. It's not a book. I didn't want it to be page after page of slightly meaningless photographs. That's why I thought illustration. I love illustration, I draw every day, and that's the way designers communicate, through drawing." 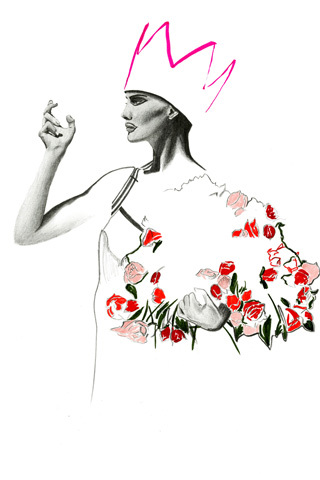 "Dita in a Top Hat", by David Downton. 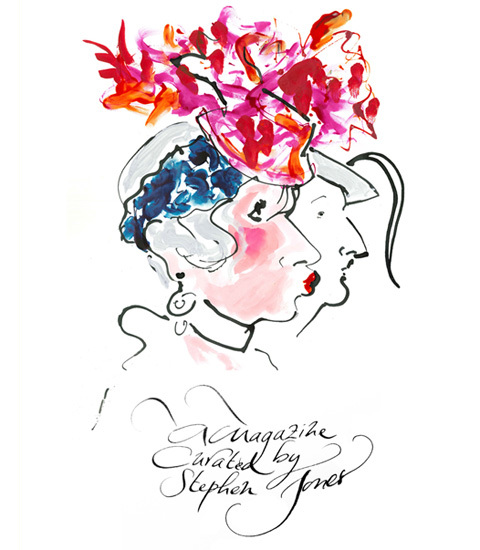 The beautiful cover illustration, a tribute to the late Anna Piaggi, is by Gladys Perint Palmer, and the issue features new work by a grade-A list of revered talents, including David Downton, Howard Tangye, Donald Urquhart, Richard Gray and Dior's Peter Turner, amongst others.Other highlights include ten of Stephen's personal favourite drawings, and unseen collage drawings by Raf Simons. Issue 12 will launch at Bookmarc during Paris Fashion Week. To read the style.com exclusive, click here. 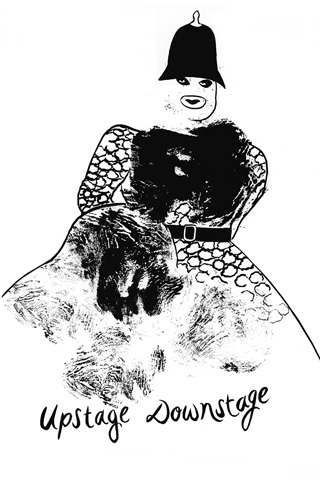 "Upstage Downstage," a portrait of Leigh Bowery by Donald Urquhart.